I've finally read my first book from the British Library Crime Classics! Considering that I own seven books in the collection already, it was definitely time to get reading. 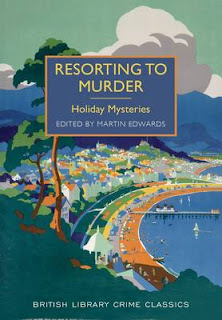 Luckily, I'm in a classic mystery mood all of a sudden and a short story mood to boot so I decided to start with Resorting to Murder: Holiday Mysteries, edited by Martin Edwards. The juxtapositions of holiday towns and trips with murders and disappearances was unique and the book kicks off with a Sherlock Holmes mystery so, really, how could it go wrong?! Edwards did a great job digging up some rare finds to pair with the better known authors. 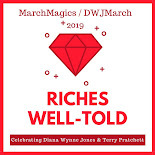 Out of 14 stories, I really enjoyed 11 of them and plan to search out some other works from a few of the lesser-knowns. And now that I've broken the BLCC seal, I'm sure I'll devour the books I have and spend way too much money on even more.